Luke has wanted to go "off roading" on his bike for a while now so as we had a spare Sunday we decided to go to Gisburn Forest and do some mountain biking. 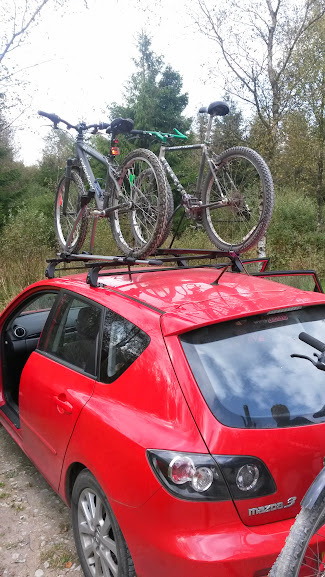 The bikes were loaded onto the car, two on the top and two on the back and after making a packed lunch we were ready to go. Gisburn Forest has a number of forest bike trails and they are all colour coded so you can easily find your way around. 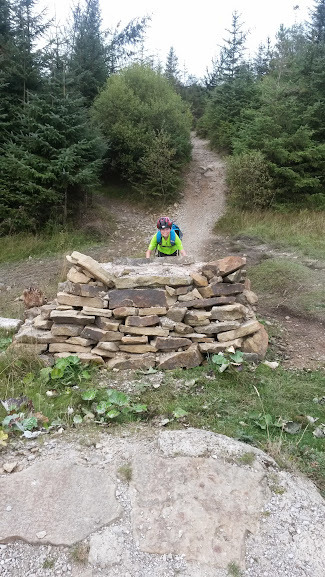 After looking at the map the boys decided that we would try the red route which had some difficult parts and was for experienced mountain bikers. I am no mountain biker and should have gone for the easier blue route but the boys assured me that I would manage. I did struggle with some of the rocky downhill parts and fell off at one point so now have plenty of spectacular purple bruises to show for my day out. My legs are covered so I certainly won't be wearing skirts until the bruises are gone! 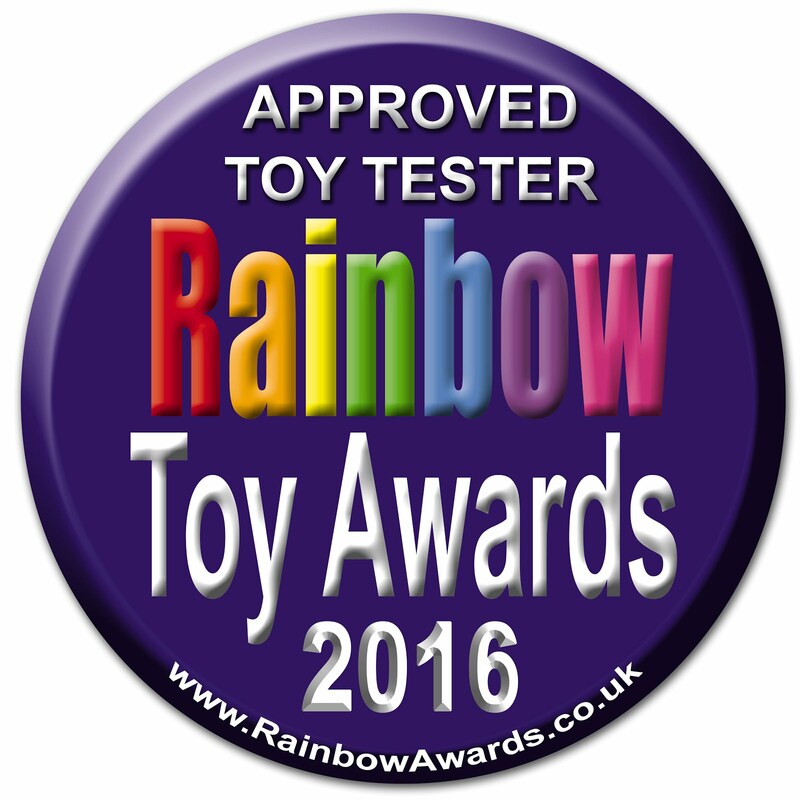 The boys on the other hand loved it and had a great time. 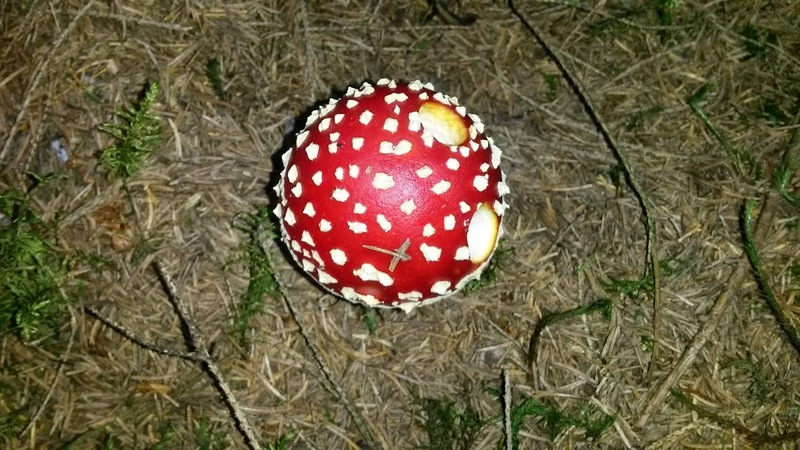 Whilst we were cycling we spotted a lot of muchrooms and toadstools. 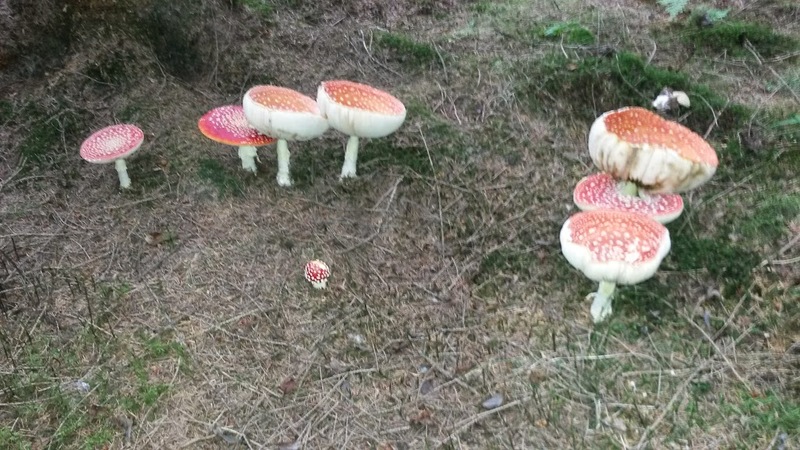 I had never seen real red and white spotted toadstools before but there were plenty in the forest and they looked really pretty on the ground. 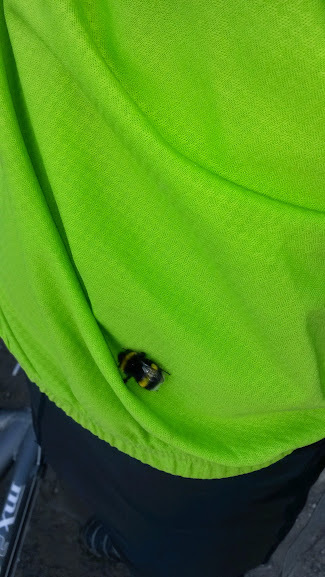 When we stopped for lunch a bumblebee took a liking to Luke and kept landing on his top. 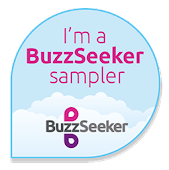 We decided that as it was so bright the bee thought he must be a flower as each time we brushed it off it flew around and then landed on him again. After stopping for lunch we started following a blue trail which was much easier to ride and meant that we got some decent down hill runs. We did come accross the black trail which is for the very brave (which I am not) and after seeing the sign there was no way I was letting anyone attempt this route. 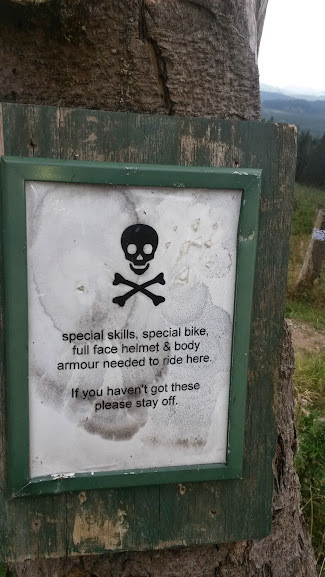 We did see a few mountain bikers with full face helmets and arm and knee pads so I am sure they were out on this trail. 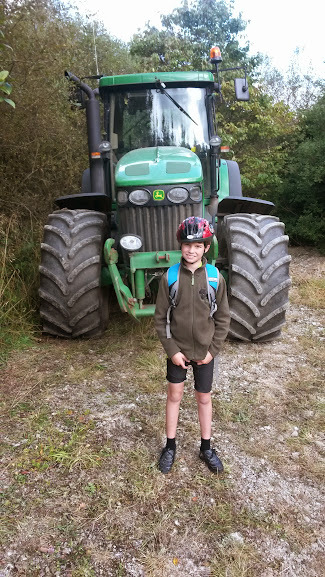 Despite the bruises we had a good day out and Luke enjoyed his day of "off roading" and even spotted a tractor in the forest.